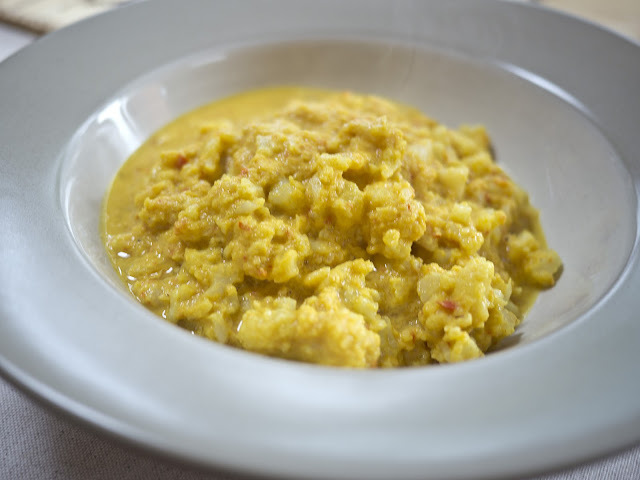 This Indonesian spiced cauliflower dish can be served as an accompaniment to meat dishes, or as a vegetarian dish in its own right. I have amended it to suit the Slimming World plan by substituting coconut yogurt for the coconut cream and sweetener for the sugar. Trim the stalk from the cauliflower and break into tiny florets. Cook in plenty of salted water for a few minutes until tender. 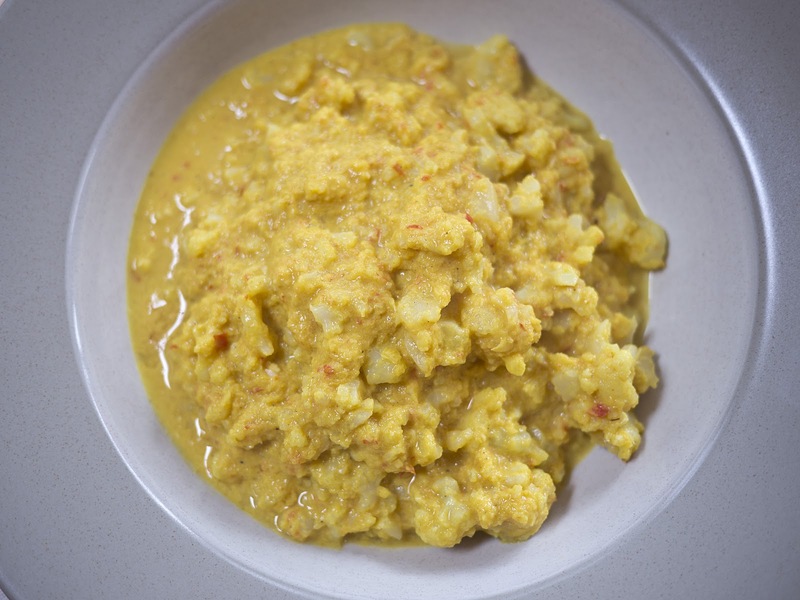 Grind the onion, garlic, chilli and turmeric together in a food processor to form a smooth paste. Stir in yogurt, sweetener, salt and tamarind powder. Add the cauliflower and gently heat in a saucepan without boiling.